Mark is the director of Sash Windows Experts, with over 30 years experience in the trade, Mark has restored, repaired and crafted hundreds of Sash Windows for homes across the South. 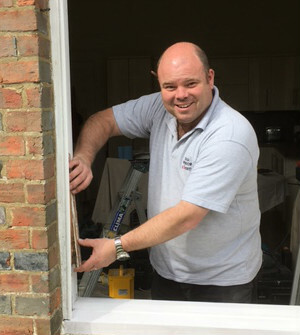 Passionate about restoring rather than replacing Sash Windows, Mark has mastered a number of skills and creative techniques that are imperative to restoring your windows whilst also improving functionality. Attention to detail is crucial, and every design or solution ensures to replicate the architecture and period features of the building, ensuring a flawless finish. Working with a small and skilled team, Sash Windows Experts offer an honest, reliable and specialist service. If you are looking for get a quote for repairing your sash windows or would like to know if they could be saved rather than replaced, please get in contact. We’d love to offer you a free survey with no obligation. Just fill out our contact form and we will get in touch as soon as possible. Below are a few questions, answered by Mark about the techniques and solutions used to repair sash windows. Our sills are decaying, can you replace them without damaging the windows? Yes we can. Sill decay is common due to the deterioration of the paint. Rather than replacing with a complete new box frame, we are able to carefully remove the existing lower box assembly and replace with a new hardwood sill section complete with new pulley and outer linings bonded in with our epoxy resin. We use the same joints that would have been originally used in order to maintain the strength of the box frame. Can you repair sash windows that are rotting? Except in the most extreme cases, yes we can. With the use of our unique epoxy resin, we are able to remove localised areas of rot to the sashes, sills and box frame by using a stabilising solution to the affected areas after removing the rot. The epoxy resin is then applied, left to cure and finally sanded to match the original profile and protected with primer. This will achieve a finish as good as the original timber that will not crack open over time. Can you replace broken panes without affecting the integrity of the sash window frame? Absolutely. Whilst we love to preserve the original period features of your windows, we often need to replace broken glass. There are many different types of glass available including clear float, laminated, toughened, obscure, patterned, crown and sealed units. We can replace broken panes without affecting the integrity and original features of your sash window frames. You can find more answers on our FAQ page.